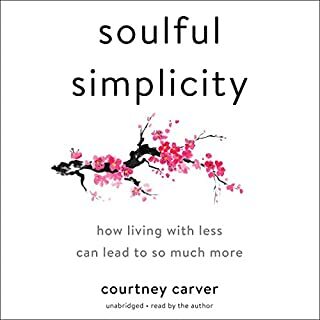 If you are interested in learning how to declutter, de-stress and simplify your life with simple living, this book is your first step to learning how to live more with less. Minimalism: A Beginner's Guide to Simplify Your Life will teach you the fundamental basics of minimalism, all in simple terms that even the most novice of beginners can understand and implement. Is your life filled with valueless objects that don’t make you happy? Do you feel anxious when you buy things but you can’t control the urge? Would you like to let go of unimportant stuff with a peace of mind? Your happiness costs less than you think. You deserve a stress-free life - where the things you own serve you and help you live a well-balanced life. 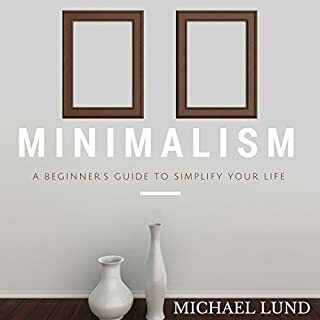 The Art of Minimalism will present you four minimalist techniques, the bests from around the world, to give you a perspective on how to declutter your house, your mind, and your life in general. Are you tired of being lazy, out of shape, and lacking energy? Are you ready to understand and disempower your excuses, start taking care of yourself, and move that body of yours as a daily habit? Everybody can agree that having a more active lifestyle is a good thing. Nobody would argue that we couldn't all do a little more exercise. And yet...why is it so hard to actually do it? If you're reading this, you've probably gotten fed up with how difficult it is to always be starting a new exercise regime, only to go back to your old habits in a few weeks. Do you long to simplify the demands on your time, energy, and resources? Have complicated responsibilities, overwhelming to-do lists, and endless clutter left you feeling overwhelmed? Busy wife, mom, entrepreneur, and best-selling author Emily Ley knows how you feel. With a growing family, increased work demands, and more, she understands the struggle it is to keep the plates spinning. Let go of your mom guilt of not doing enough! 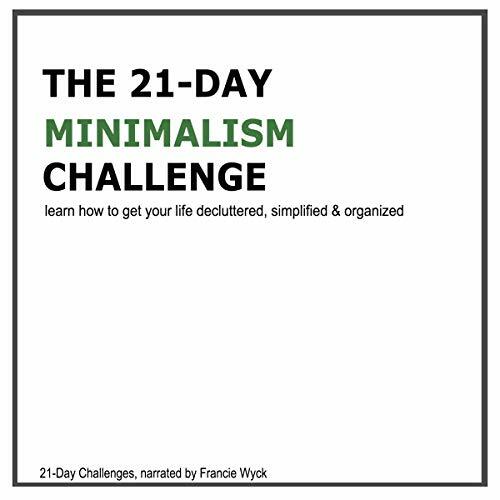 The 21-Day Minimalism Challenge, the first book in the 21-Day Challenge series! Are you tired of stress and clutter collecting in your life? Are you ready to take action, get off the beaten path, and learn more about the benefits of minimalism? By living a more minimalist lifestyle, you invite calm and quiet into your daily life, you become more efficient, and you take action with more conviction than before. You don't fall prey to cheesy advertising, and you make your own goals. You think of money as a tool to reach your goals, and not the goal itself. Being minimalist in today's world can feel a bit like swimming upstream. This book will be a good starting point, a catalyst, and maybe even a kick in the pants if you've had enough of chaos, mess, and disorganization in your life. Listening about minimalism is a good start, but minimalism is something to do - it requires action! Therefore, each of the 21 days will have a unique exercise that you can apply in your own life right away. With each new challenge, you will move towards a more organized and simplified life. Learn how minimalism can create more calm and focus in your life today! Are you ready to take the challenge? I thought the minimalist challenge was very inspiring and I like how the author emphasized that everyone has their own style of minimalism. The narration was easy to follow for a non-native English speaker. 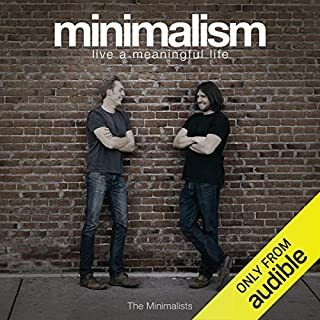 Where does The 21-Day Minimalism Challenge rank among all the audiobooks you’ve listened to so far? The “21-Day Minimalist Challenge” is a useful book if you’re looking for a quick introduction to the philosophy of minimalism. The book provides actionable advice and tips to start living a minimalist lifestyle in 21 days. Each day, the book gives you an exercise to do in order to reach your goal, making the process practical and easy to follow. I’m moving house this summer and this book gave me some motivation to really get started with decluttering. This will not only save me time in moving all my stuff, but I have to say it also feels refreshing to throw away things you don’t really need! Minimalism, however, is much more than just decluttering alone: it’s also a way of life and a new, refreshing perspective on things. In the West, we are so used to treating physical possessions as absolute necessities for our happiness. But are all those possessions truly necessary and aren’t we much better off collecting moments instead of things? 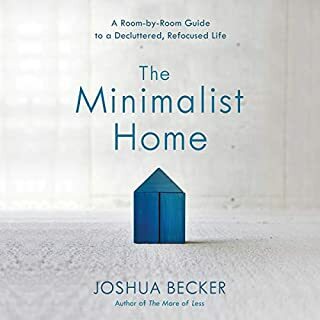 This book will help you declutter, but by giving an insight into the philosophy of minimalism it also invites you to form a new perspective on what’s truly important in life. Very useful book! I'm happy to find this guide in audio format! It's wise and deep, yet makes me laugh out loud every now and then because of the author's witty humor. The biggest eye opener for me was that, without really realizing it, I thought I would be happier if I had more money, a beautiful car, a big house etc. But the thought of one of my best friends who has all this kept nagging me. He is still in this state of "not enough", still wanting more, which makes him feel exactly the same as I do: needing more before I can be happy. 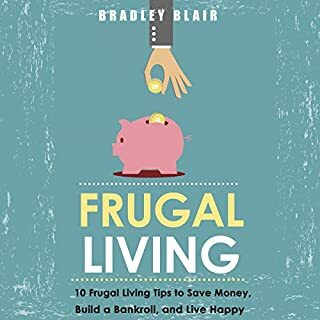 This book touched on this issue with the advice not to chase happiness by owning and accumulating more stuff, but instead to focus on living a MEANINGFUL life and collect experiences and memories rather then material possessions. I also liked the part where you are encouraged to find your own style of minimalism. This really took some pressure off of me; realizing minimalism should be about a feeling of relief and liberation, not about deprivation and unhappiness. 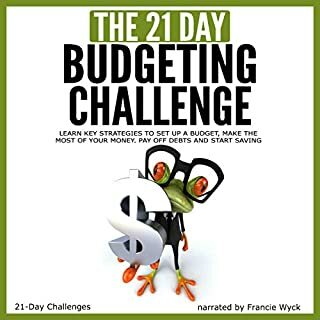 It's a 21-day challenge, but the author says that this is just a guideline, you can spend a little longer on some days if you feel you need to. I chose to spend 2 days on each day, making it more like a 6 week challenge which combined better for me with the demands of work. 6 weeks gave me plenty of time to process everything, while keeping me motivated with a new exercise every other day. If you're working fulltime like me, I would recommend this, or do the challenge during a holiday period. In summery, if you like the concept of Minimalism, but aren't sure how to start implementing it in your life, I can really recommend this challenge. I enjoyed the approach taken here. There isn't a lot of unnecessary hand holding and you-can-do-it-if only-you-think-positive non-sense. Instead there are practical tips and a real world perspective delivered in a clear and straightforward way. Well done. Wonderful guide, simply written with concepts and projects that can be added and thought of in everyday life to help people reduce stress significantly by decluttering life, environment and mind. It changed my perspectives and, yes, albeit cheesy, also my life. Looking forward to reading more in this series! I don't have much discipline and often give up before even trying, but this approach, having a small and realistic task every day works for me. All the small changes and activities really add up after 1+ weeks and I'm feeling much better. Cannot recommend this series enough! I like the 3-week commitment; it's realistic and kept me motivated for the duration of the challenge. This is a book to come back to every now and then to stay on track, cannot recommend it enough! Like the book. Some good tips on getting started with minimalism. Narrated by Francie Wyck, pleasant to listen to. Very funny, easy to listen to, gave great insight and was a very quick listen! I enjoyed this audio book a lot....lots of good ideas and inspiration. I have only one problem with it, it moves at an unrealistically fast pace. Day 3 (?) for example....Declutter your entire house. and if that wasn't enough we then have Day 16.....move house! Needs a lot of personal editing to make it workable but I'm still glad I purchased it.